My first full day found me downstairs having “breakfast” (orange juice) with my fellow hostel mates. In front of the hostel was a stop for a hop on/hop off bus. I only had about 2 full days to explore and wasn’t about to brave the Metro, so I bought a 2 day pass to tour all of Mexico City. I was so excited to see the awesome Palacio de Correos, but we only drove by it. I made a mental note to go back (but I didn’t cause I’m dumb). I love art deco and was happy to see the Palacio de Bellas Artes with my own four eyes. It was a lot bigger than I imagined and soo pretty. I got off here to drink a big bottle of Cielo, people watch, and pick up my festival ticket at Libreria Gandhi. I got back on the bus and continued to make my way around the city. 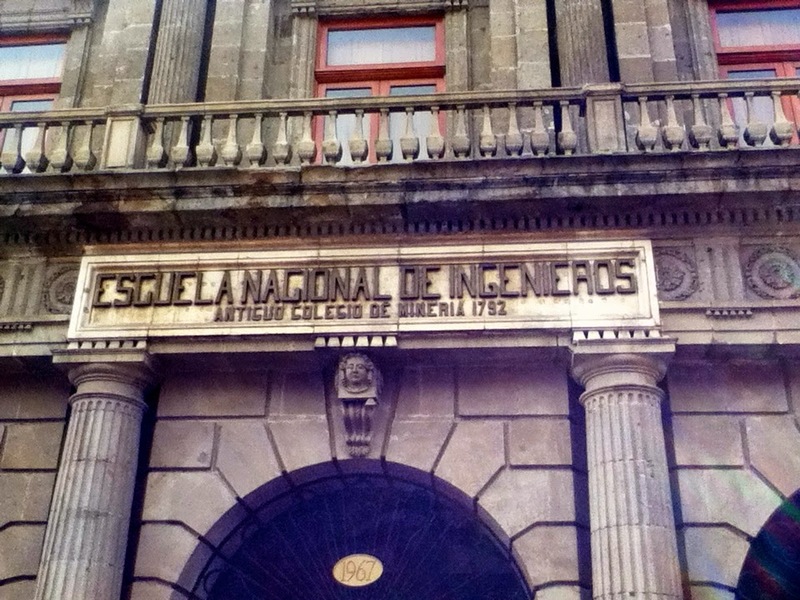 To paraphrase French poet André Breton, Mexico City is the most surreal place on Google Earth. I really love people from Mexico, and like a mega creep I follow them around Disneyland just to eavesdrop on their conversations. I really wish my Spanish was on their level. Maybe one day. On this particular trip, I was joined by a group of guys who inexplicably rode this train for fun even though they lived there. I was trying my best not to laugh at the things they said, but failed miserably. 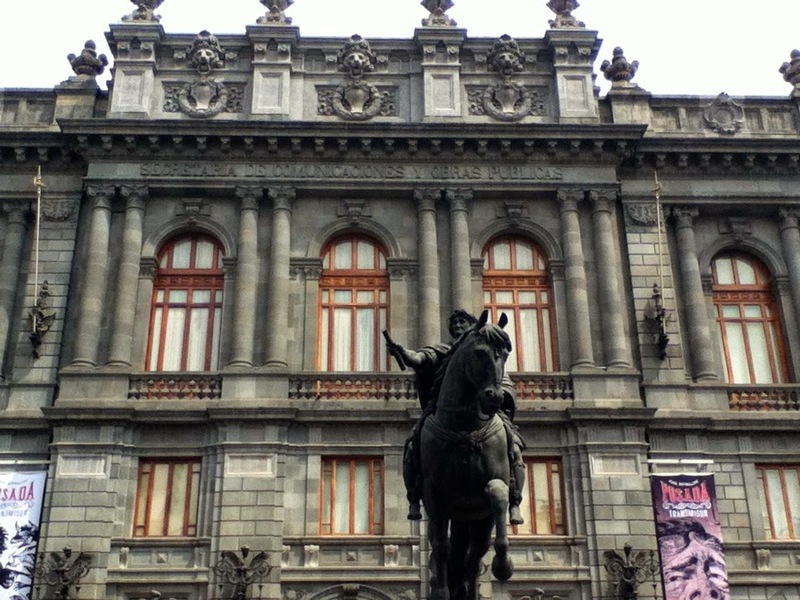 Mexico City has tons of great architecture and it is really beautiful in general. I really wanted to see El Angel, and it was just as dope as I imagined. One thing about traveling that I enjoy the most is being able to see iconic places and things that I have seen in movies or on TV in person. I have seen the Angel on countless shows in Spanish about chismes, the best kinds. Here I was seeing it in the middle of this crazy intersection. I couldn't believe it. We also drove through Polanco, the ballerific borough. I saw the usual stores- Tiffany's, Vuitton, Cartier- but I was most excited for El Palacio de Hierro, Mexico's version of Le Bon Marché, Saks, Harrods, etc. Basically, I probably couldn't shop here on the regular. I love the building, though. It's the weird triangle shaped one, the one that looks like a piece of cheese. I still had tons of sightseeing to do, and I realized that I severely underestimated the time needed to scope things out. I still had one more day left to sightsee, and storm clouds started brewing... literally and figuratively.